Lifestyle mystery shopping refers to the shops you take to enhance your way of living. Being a frugal miser, I look for ways to save money on entertainment and travel. Today is one of those days: we're taking an overnight trip to Sarasota. We'll start with a quick stop in Tampa's Ybor City for lunch. There's a $10 bonus (total fee: $15, plus reimbursement) on a simple chicken restaurant. Then in Bradenton I am being paid $25 to see if an associate at an electronics store offers me a credit card. That doesn't necessarily enhance my life, but the shop is on our way and will only take 5 minutes. We'll start off with a visit to the Marie Selby Botanical Gardens. Our membership at the Sunken Gardens (bought with a Groupon) includes reciprocal membership at other gardens, making admission free. Then we will check into the hotel. It is a business-class limited service property, which I like to shop because of the limited interactions (no valet, no bellman, no midnight-security interactions). The hotel includes dinner with wine as well as complimentary breakfast, taking care of our food needs. 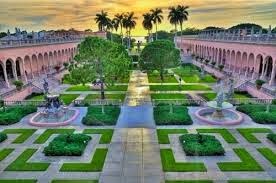 Finally, we'll spend a little time at the Ringling Museum (the circus family, of course, which is free on Mondays). We can walk to it from the hotel. On the way home tomorrow I am being paid $18 to cash a check and another $24 to make a deposit at a nearby bank. Those two 5 minute shops were thrown in to supplement our budget. I won't be getting rich doing this work: the hotel includes a $45 fee, and the other 4 shops will pay $82, for a total of $127. I have plenty of free gas for the car as well. I've had a fair amount of success putting together cheap or free getaways. Normally I start by finding a hotel, which determines our destination. It's usually fairly easy to build the trip around the hotel. We look for free places to explore and I'll find restaurant or other shops to justify our travel. My partner and I have been on vacation since Tuesday evening. We started with four days in Las Vegas and are finishing with a couple days in Denver. I keep an eye on airfares and have noticed the price to Las Vegas from Tampa has dropped just a bit. We paid $144 each for our one-way tickets, which is about $50 less than what I paid last year. We arrived home early this morning. I chose Fox Car Rental, which has always been a hit-or-miss experience. This time was definitely a miss. I waited an hour and 20 minutes to reach the counter, and then my requested car was sold out. They gave us a huge mini-van and asked us to come back in a few hours, and even offered a one-day credit if I would do a swap, as they needed the mini-van for someone else. They applied the credit, but somehow goofed up the paperwork. Later in the day, an employee called to ask why I had two cars rented. Then when I returned the car, there was an error on the bill. Rather than waiting to resolve the issue and miss our flight, I am to call Monday. We spent four nights in Las Vegas, and three of them were free: two nights at the Suncoast and a points redemption from Choice Hotels to BlueGreen Vacations Club. That room was amazing: for 12,000 points we received a unit larger than my house: it had two large bedrooms, two bathrooms with three showers (including a walk-in shower that had dual faucets), two kitchens, two living rooms, and four flat-screen televisions. I paid for one night at the El Cortez, which was around $30. I'm hopeful that our paid stay there will result in free room offers moving ahead. Besides the free rooms, all our food was free. I'm not a heavy gambler; just a savvy one. The South Point had an offer where, if you earned 600 points, you received a lunch and dinner buffet, plus got to keep your points. You only have to run $600 through video poker to earn 600 points. The expected loss on that gambling is less than $3, which is certainly worth two meals! The Suncoast offered a free buffet with 300 points, and I had two free buffets at Palace Station courtesy of MyVegas. 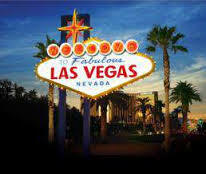 MyVegas is a great tool to earn comps in Las Vegas. We received two premium tickets to Zumanity as well as the buffet. We didn't win in the casino; I lost a little more than $200 this trip. That's a cheap price to pay for free drinks, food and hotel rooms. Saturday we flew to Denver. Our tickets were $49 each and I received a $75 voucher towards a future flight because Frontier canceled our early morning flight and moved us to a later one. I redeemed Choice Privileges points for the two nights we are at the Sleep Inn. That was easy: my tenant moved out, and I didn't have to involve the court system and the associated costs. Having an empty income-property normally stresses me out. Today, all I feel is contentment. Here's why: my deadbeat tenant paid more in rent in 42 months than I paid to buy the house. From a financial perspective, this townhouse has been a great investment. I bought it in 2011 for $22,500. I have spent $11,900 on repairs and improvements (note: I am excluding mileage from traveling to the property in my costs here). This deadbeat tenant paid just under $25,000 in rent since moving in. =$9,400 I am out of pocket - and I still own the house free and clear! The biggest unknown is the condition of my property. I already plan to paint and replace the carpet upstairs, and there will surely be other repairs. I have called the handyman I used a couple months ago to get started on the house. I'll be hiring a new management company, which means my hands are nearly clean of the drama I've had with this particular investment. Finally, a month where I beat my goal. Although I spent $1,527 last month, my goal excludes the $510 I spent on vacations. I set a monthly goal of spending less than $1,250 on everything except vacations and home repairs. In April, I only spent $1,017. Victory! Even better, $370 of the month's spending was a non-cash expense for depreciating my car. So, my cash spending was only $647. I had help in a couple of ways. First, there were no semi-recurring expenses such as car insurance (that'll be in the May report). Second, I won $268 playing video poker at the Hard Rock, which more than offsets the $98 I spent elsewhere on entertainment. I was even a glutton again when it comes to food, as we spent $309 on that category. Our trip to Puerto Rico accounts for a major part of the food expense. Take away Puerto Rico and we spent less than $100 to eat last month. April was so much fun, as we were paid to vacation in Puerto Rico. However, my reimbursement check hasn't arrived yet, so the expenses of our trip offset my income from mystery shopping and hospitality work. I'll be able to account for that reimbursement check in my May income report. Rental income was light, but that's because I have my most expensive property listed for sale and was going through the eviction process with my deadbeat tenant. Two of my Birmingham rentals therefore produced no rent income.